VSNEXPLORER turns technology into an ally and makes intuitive media management possible, allowing the creative industry to concentrate on what it does better: creating. The VSNEXPLORER family is composed by VSNEXPLORER PAM, focused on production and postproduction; VSNEXPLORER MAM, with all the necessary tools for the complete management of the whole media lifecycle, such as advanced cataloguing; VSNEXPLORER BPM, which adds an orchestration layer for defining business process management workflows, and VSNEXPLORER BI, advanced Business Intelligence layer. VSNEXPLORER PAM increases the efficiency of production environments by managing and tracking media all along the creative process. 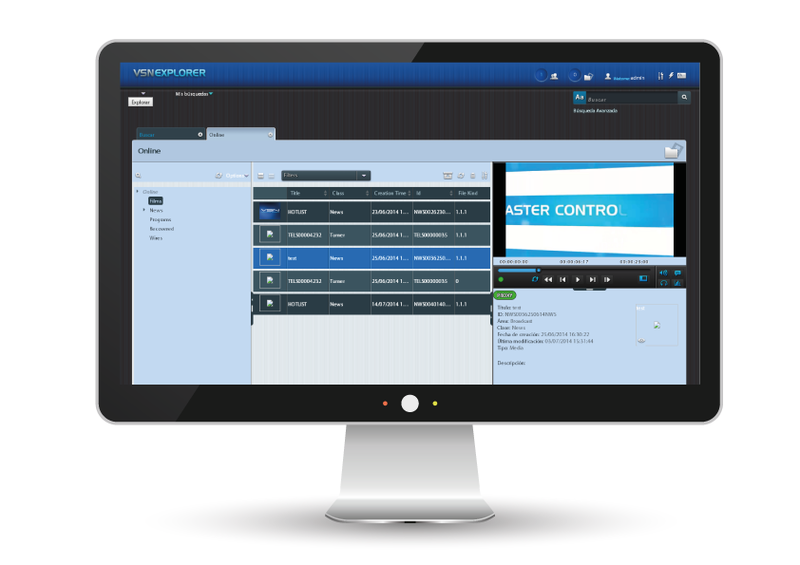 VSNEXPLORER MAM offers all the necessary tools to manage the media of any company or corporation, covering the whole media management workflow. 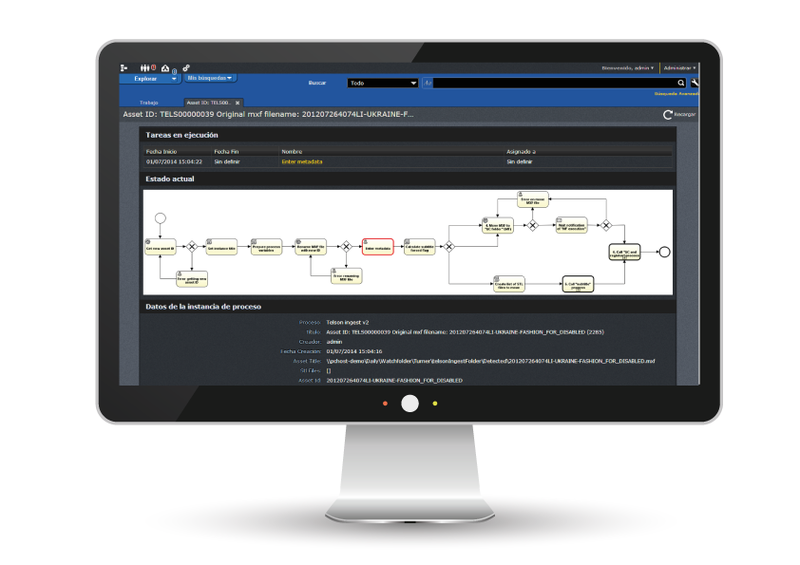 Thanks to the software tools included in the VSNEXPLORER BPM module, companies achieve total control and visibility of their internal processes. 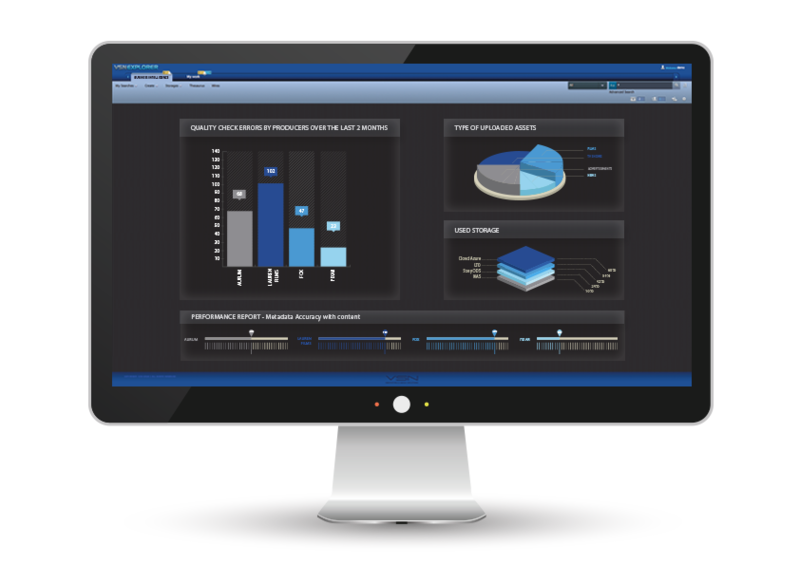 Make the best decisions thanks to VSN’s Business Intelligence Software, capable of transforming metadata into valuable information and graphics. 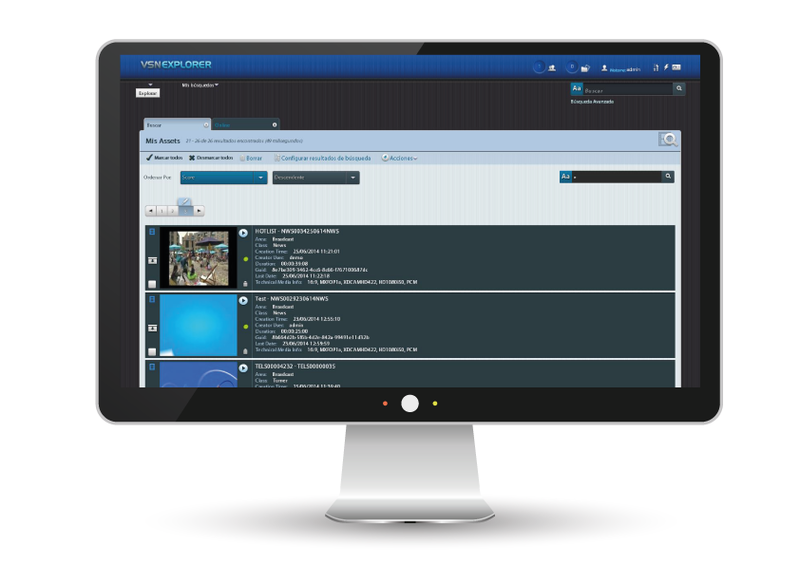 VSNEXPLORER is built on the VSNSPIDER architecture, a service oriented (SOA) software platform which greatly simplifies integration with third party solutions for media management. VSNEXPLORER is totally scalable, both in hardware and software, ensuring that, even if you start with the most basic configuration, the system will grow and adapt as your business grow. Our Media & Business Process Management solution’s interface is 100% web-based, making it a genuinely multi-platform system: it can be accessed from any browser, whether on Windows or Mac. Moreover, it allows the user to work remotely on the system. The combination of its web-based interface and VSN’s transfer acceleration protocol (UMP), enables the full system (MAM in Cloud) or part of it (Hybrid Cloud) to be installed in platforms such as Windows Azure, Amazon or in private cloud. We are very excited with the progress we have seen so far. The MAM has proved an invaluable addition to our infrastructure. We have been delivering promo, lineups and channel content [to our clients] over the last few months. The system is now delivering around 2000 video assets per month. We have also recently started with long form asset deliveries too. Thanks to VSN we expect that the uptake from our customer base is now set to grow exponentially over the short to medium term. Do you want to see VSNEXPLORER, the Asset Management Software, in action? The future is collaborative and cloud! 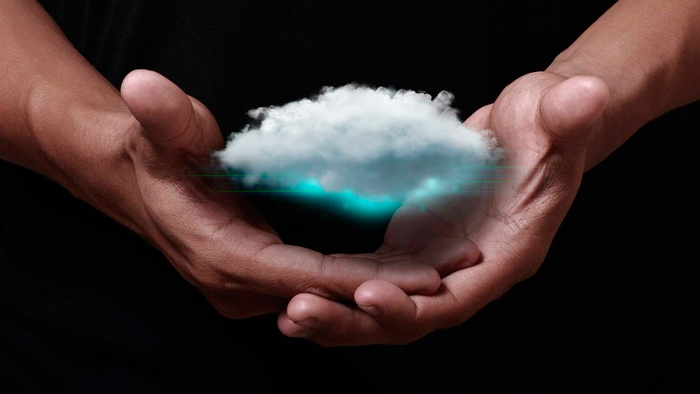 We present this Webinar to show how MAM on cloud technology enhances collaborative work.